Dr. David Weddle was raised in Springfield, and attended the local public schools. Following 5 years as a U.S. Marine, he attended Missouri State University for his undergraduate coursework. 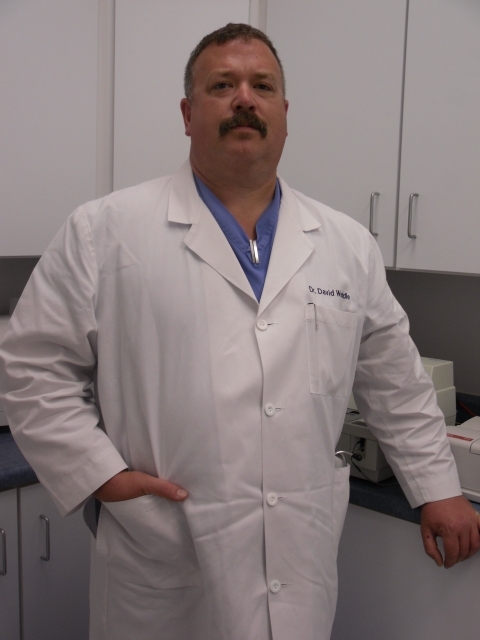 He then attended the University of Missouri, graduating in 1997 with his DVM degree. 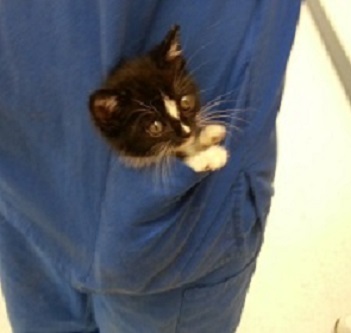 He spent the next 11 years in various Midwest small animal general and emergency practices before opening Wilson's Creek Animal Hospital in 2008. When not at the hospital, he enjoys spending time with family, gardening, and bicycling around Southwest Missouri. 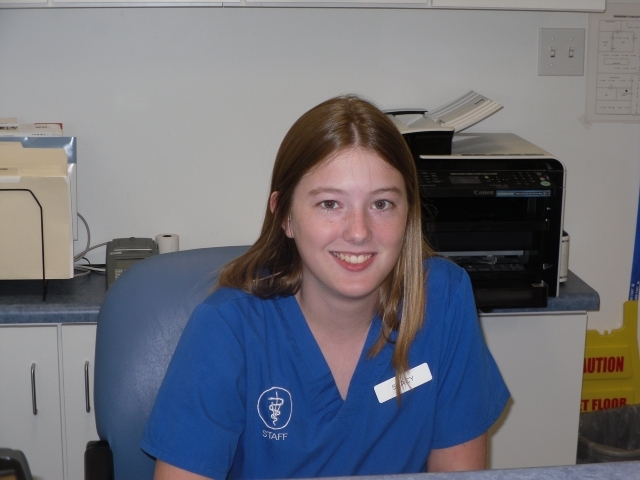 Whitney has been working at Wilson's Creek Animal Hospital since March of 2009. She has 6 years of veterinary assistant experience. Whitney graduated from Missouri State University in 2008 with a BS in Animal Science. She has 2 dogs and 2 cats at home. When she is not at work, she enjoys spending time outside and playing with her son. 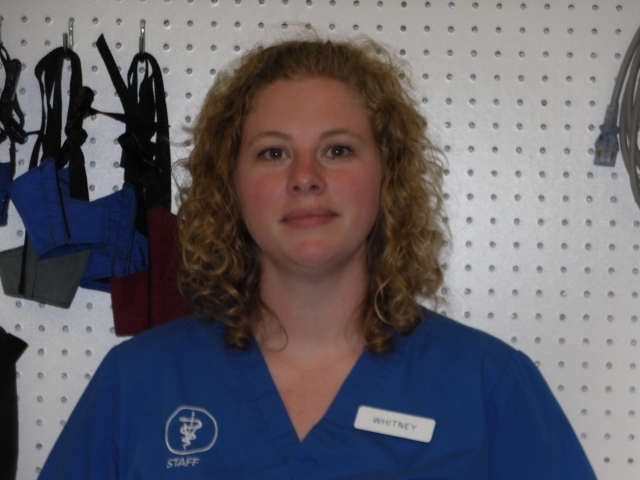 Stacy has been working at Wilson's Creek Animal Hospital since April of 2011. native of Springfield, MO, she graduated from Kickapoo High School before coming to work for Wilson's Creek. While it is her first time working in a veterinary clinic, she has had experience working with cats and dogs through the PetSmart PetsHotel. She has two adorable cats and two dogs at home, and when she isn't working, she enjoys spending time outdoors. She has recently received an Associate's Degree in Business and Marketing. Meet Hiss and Spit. While Dr. Weddle pays the rent, these two are the real owners and mascots of Wilson's Creek Animal Hospital. They came to Wilson's Creek in the days following it's opening and have been here ever since. When not supervising the clinic staff to ensure everything is done right, they love to spend their time greeting customers, napping in the sun, and bringing smiles to anyone who walks through the door. Buster is the newest addition to the Wilson's Creek Animal Hospital family. 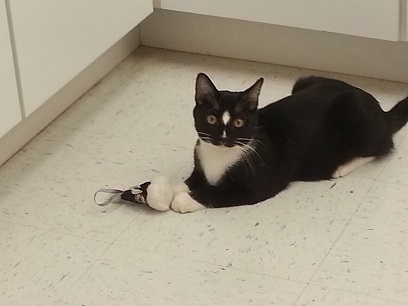 He came to the clinic as a stray kitten in July 2013. He is very playful and persistent.